We always use a strong password to log into any personal system that has valuable information inside them. Passwords are highly recommended by experts because it lets you lock your valuable information and no one else gets to access it without your permission. But forgetting password of Windows server 2008 R2 is a very painful thing for anyone as much as it’s painful to forget any other password. So if you have faced this kind of problem and you want to reset password of Windows server 2008, then you need to read this article. 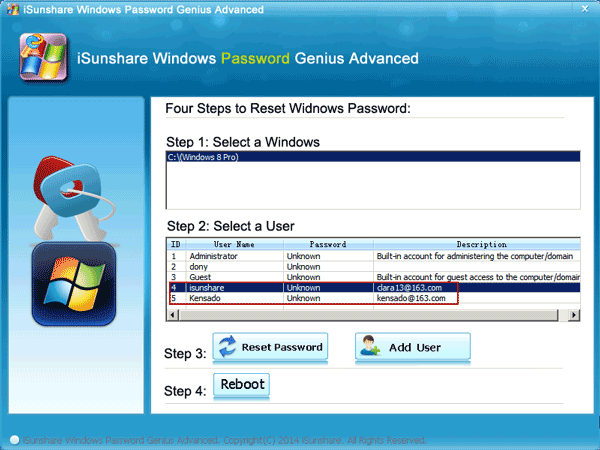 You will be able to learn 4 working methods to Windows server 2008 r2 password reset issue in no time. So if you really want to solve Windows 2008 password reset issue, then this is the best solutions for your problem. Step 1. 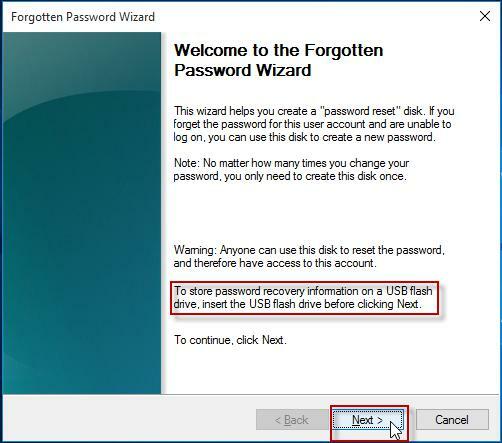 You need to insert the USB drive containing the password reset disk and restart your computer system. Step 2. Then select the “Reset Password” option under the “Username” part. Step 3. Now click “Next” when the forgotten password wizard comes in your screen. Step 4. Then choose your USB drive name, where you have the password reset disk and go to the next page. Next type in the new password of your computer and save changes. Step 5. 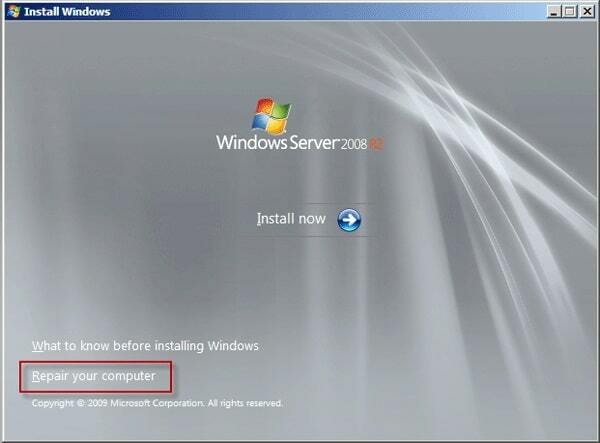 Now restart your system and finally you can use the new password to log into your Windows server 2008 R2. Step 1. You need to download and install the program on a computer and insert an empty USB drive on it. Launch the program to get the main interface and click on “USB device” option to select the empty USB drive from a drop down list. Step 2. 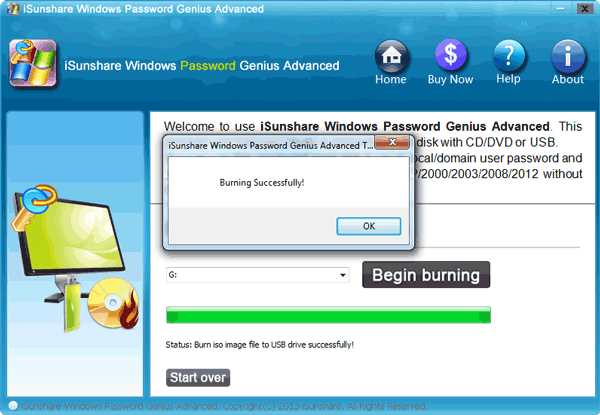 Next click on “Begin burning” to burn the password resetting empty USB drive. It will take up to 1 minute. Step 3. Now click “OK” to finish the process. Step 4. Then you need to insert the bootable USB drive in your locked Windows server 2008 R2 system. Now reboot the system and press the “F12” or “ESC” button to get inside the boot menu. Step 5. Now select the USB drive as a boot device and press the “Enter” button from keyboard. Step 6. The main interface of Windows Password Recovery tool will pop up on your screen. Now choose the Windows system and user account for resetting the password. Then click on “Reset Password” to start the process. Step 7. 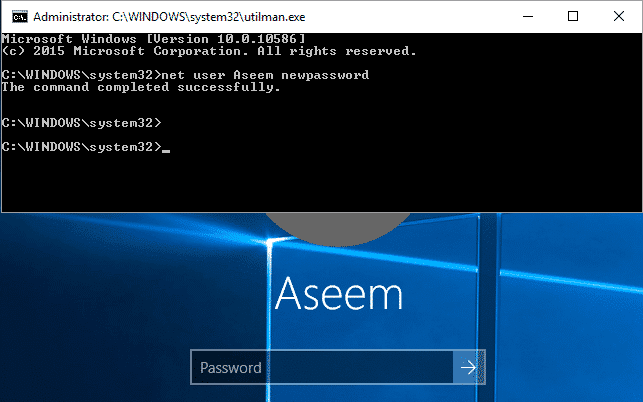 Finally you need to reboot your computer and log into your Windows server 2008 R2 system without any password. Step 1. First you need to boot your server system by using the installation disk. When the system is on, click on “Next” from the Windows install menu. Then you need to click on the “Repair your computer” button and then click “Next”. Step 2. Now the System Recovery Options menu will pop up and you need to select the operating system that you need to repair. Then click on “Next”. Step 5. Then you need to close the command prompt window and restart your server system normally. Then from the log in screen, click on “Ease of Access” button. Then you need to type in – “net user administrator *” in the command prompt window again. Step 6. Finally you can insert a new password and press “Enter”. Then you can login by using the new password. But you need to open command prompt window and run this command – “copy Utilman.exe cmd.exe.”. Then again run – “move Utilman.exe.bak Utilman.exe.”. Step 1. Create a bootable disk by using another PC and insert that disk in the locked Windows server 2008 R2. Then boot up your locked system. The software will load after the booting process is finished. You need to press “Enter” when the word “Boot” comes up on your computer screen. Step 2. The software will automatically detect the drives in your system and you need to select the drive that has the Windows installation files. Step 3. Leave the default choice as it is on the screen and hit the “Enter” key. This means, you are choosing which part of the registry you want the software to load in and choosing the edit option for user data and passwords. Type in your username and hit the “Enter” button. Step 4. Next select the default user account to delete the password from and press the “Enter” button. Step 5. Now the system password will be deleted automatically by the software but you have to exit the process. Just press “!” button and “Enter” button, then again press “q” button and “Enter” button. Step 6. Next you have to confirm the changes that you have made throughout the whole process. Just press “y” button and then press “Enter” button. Again you need to press “Enter” to confirm that the software doesn’t need to take any further action. You just need to eject the password resetting drive and reboot your system. Step 7. You can now login to your Windows server 2008 R2 system without any password. This article is the best guideline to reset password of Windows server 2008 and also all the information that you need is properly given here. 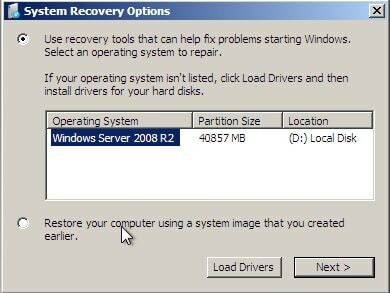 You can choose any of the 4 methods that are described here for Windows server 2008 r2 password reset issue, but the best one will always be by using Windows Password Recovery tool. It’s the only software that will give you a guaranteed successful result without losing any data or system information. 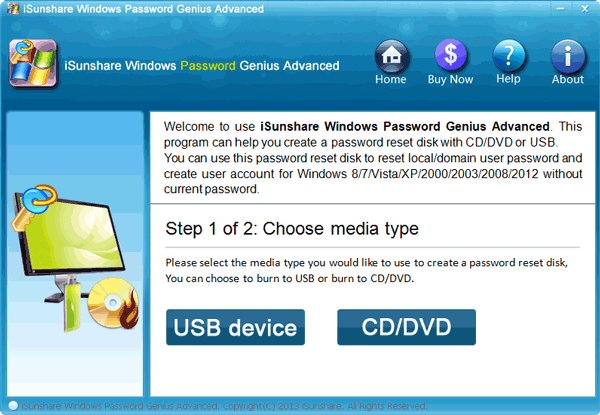 If you want to solve Windows 2008 password reset problem, then you must choose your method wisely.